Castello di Milazzo is a castle and citadel located on the summit of a hill overlooking the town, on a site first fortified in the Neolithic era. The Greeks modified it into an acropolis, and it was later enlarged into a castrum by the Romans and Byzantines. The Arabs built a castle, which was further modified and enlarged during the Medieval and Early Modern periods. 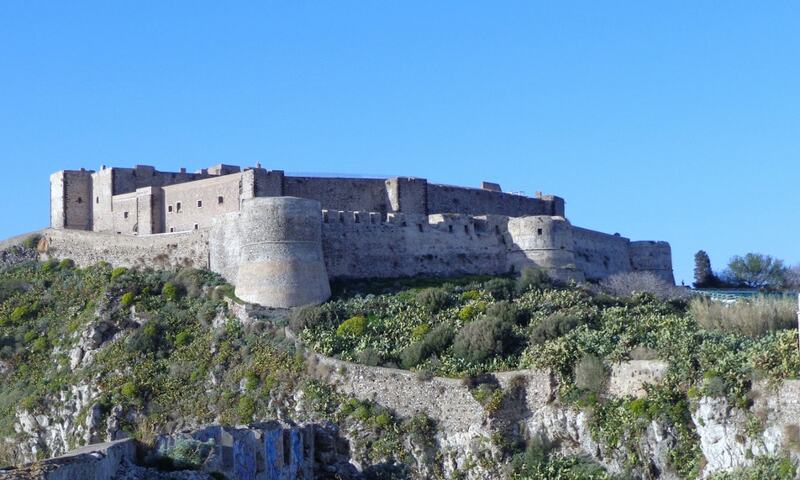 The castle was built as a result of the strategic importance of the Milazzo peninsula, which commands the Gulf of Patti, the body of water that separates Sicily from the Aeolian Islands. It also commands one of Sicily's most important natural harbours. The castle is now in good condition, and open to the public.